With the influx of websites over the internet, it is very important to rank a website such that it acquires a reasonably good place in the search results. You type a single word and the search engine displays innumerable results with links of websites and web pages. Search Engine Optimization is a technique that ranks the websites based on the content they withhold. This ranking is very essential to get the user’s first click and determines the internet traffic a website can gather. SEO service targets various categories of searches like video search, academic search, images search, news search etc. SEO service is an internet marketing strategy and takes into consideration all the factors that influence a search. The working of a search engine, likely terms typed by an internet user, the prospective user group etc are all determinants to a search result. A professional SEO company undertakes the task of improving the ranking of a website. This is done by effective content writing services and editing the already written content of a website. The HTML coding is modified in a way that all relevant keywords are included in the content and barriers to effective search are reduced. Popular search engines like Google, Yahoo and Bing also conduct seminars and workshops to train the webmasters and carry out proper indexing of the websites. An SEO company can professionally handle this task and by following the guidelines laid down by search engines, it becomes possible to acquire a good ranking in the search engine results. Gcreationz is highly renowned for its expertise in SEO services and has successfully served clients across various nations. 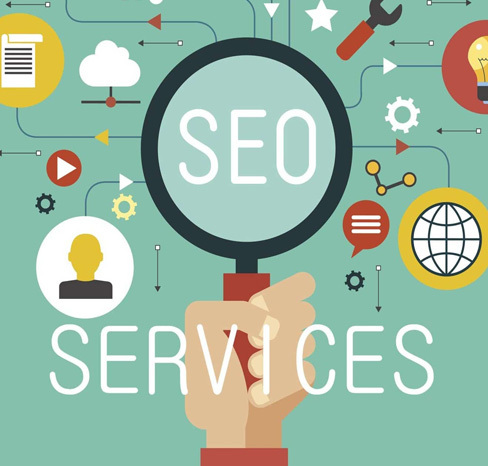 Our team is a pool of certified SEO webmasters who abide by all the instructions of search engines and the websites come under the consideration of the algorithmic list and get placed in the search output. Effective results with maximum internet traffic attention. Search Engine Marketing conducted to analyze the trends prevailing over the internet. A thorough evaluation of the business model to develop optimal websites. Content writing services offered for proper editing of HTML content. Constant client communication maintained to make room for any changes desired. Regular monitoring and maintenance services provided uninterrupted execution. Time-bound contracts assuring completion at the earliest. Client satisfaction is the topmost priority and worked for.